The Gold Coast theme park has seen a slight improvement in attendance for June with no corresponding uptick in revenues. Heavily discounted passes might see further improvements in visitation but devalues the theme park industry as a whole. Correction needed: Others may decide that this just isn't the year for theme parks, understandably put off by the tragic accident of 2017. The uptick in attendance with no corresponding revenue boost can also be explained by the expiry of annual passes. Almost all pass holders will have seen their annual pass expire and a surge in attendance for the traditionally quiet first few weeks of June is a common phenonenom at all the Gold Coast parks. Weren't most of the passes extended til September anyway? Others may decide that this just isn't the year for theme parks, understandably put off by the tragic accident of 2017. 2016. Don't get the bulletin excited. The $99 annual pass model was introduced amidst the global financial crisis by Village Roadshow Theme Parks and nearly a decade on these prices stick. I know it's been discussed to death, but I really wish all our parks would stop this. 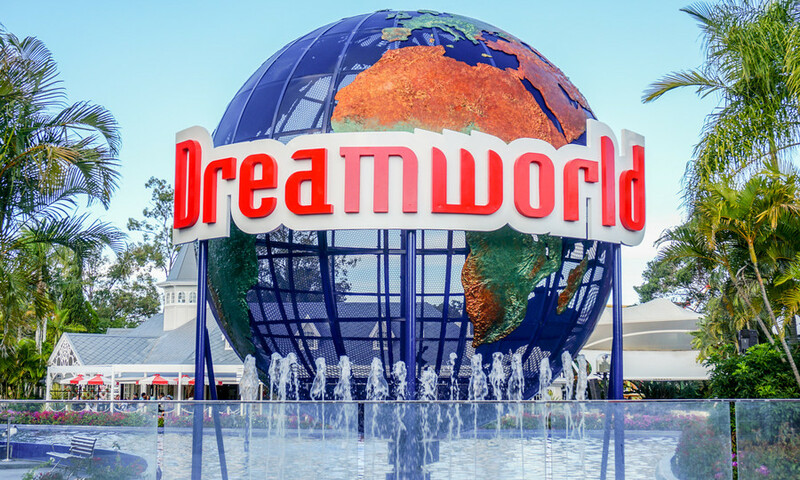 It's not a concept that owners Ardent Leisure are used to, but Dreamworld's only future lies in genuine growth and development through capital expenditure befitting a modern theme park operation. While I'm here as well, correct me if I'm wrong here but wasn't Vintage Cars open for a short amount of time when the park reopened? The article gives off the impression that it didn't reopen it all.. The issue with the passes isn't that they're all gone immediately. The extensions means there's a chunk with ~6 months left, and of course there's no question that they've sold new passes since the accident. It's that everything we're seeing and hearing about trading patterns at the park to date suggests that there will be a marked drop as renewals and new pass purchases are all but certainly a fraction of their pre-accident figures. Maybe yours wasn't due to expire on Dec 24th 2016?? I know everyone with that expired date was extended to 24 June. i think they just gave an extra 6 months to all passes. I received an email on the 24th of June stating that my pass had expired and in the email also had there current deals for renewing passes. So I don't know about anyone else's but my pass has expired. Then you my friend have the fantastic joy of supporting Dreamworld get back on track and taking part in a proud enthusiast tradition known as "buying new season passes." They put on a free wiggles concert and then claim the larger attendance total for the week as a bounce back. Come on who's buying this?? DREAMWORLD has recorded its best week in months as the Gold Coast theme park rebounds from last year’s horrific tragedy. Stock market reports from parent company Ardent Leisure had shown a drastic fall in numbers since four people died on the Thunder River Rapids Ride last October. However the park was swamped by visitors last week in an encouraging sign the business might be finally turning the corner. While Dreamworld does not publish official visitor numbers outside shareholder reports, it is understood last week’s crowd figure was the best since the tragedy, apart from the grand opening of the Lego store in January. Last week coincided with school holidays for southern states as well as a record-breaking concert by The Wiggles. Attendance on the day of the Wiggles’ performance was higher than for any other Dreamworld show by the children’s group in the park’s history, while an after-dark ‘Thrillathon’ two weeks ago was a sellout, smashing previous figures for the event held in June and September last year. Dreamworld’s acting CEO Paul Callander said the size of holiday crowds had been pleasing. “We’ve been encouraged by the number of visitors during the recent June and July school holiday period,” he said. Matilda Rizzi, 7 and her sister Olivia Rizzi, 9, from Melbourne, enjoy a day out at Dreamworld. Picture: Nigel Hallett. “Last week we hosted our most successful live Wiggles performance at Dreamworld, and our Park after Dark: Thrillathon event held in late June was sold out. “WhiteWater World has also been busier than recent winter holidays, complimented by our new heated water systems across all slides and pools. He also said visitor satisfaction was also on the rise. “What’s been very pleasing is the positive feedback we have received from customer surveys undertaken at the park,” he said. An investigation into the deaths of Kate Goodchild, Luke Dorsett, Roozi Araghi and Cindy Low remains ongoing, with a coronial inquest expected to be several months away. Go through Google and you'll never be paywalled. Dont like to post an entire article and clog a whole thread. I know the tip, that's how I access the articles, (but here's a hot tip - yesterday I went through google, and STILL got paywalled the first time. I had to close and reopen it twice before it let me in), but the posting of a news link here, without the article text inevitably gets someone going "i can't access it, it's behind a paywall" - and then cue several back-and-forth posts from people like you or me who know how to do it explaining to people how to access it through google. In the end, (for mine at least) i'd rather the article just got posted like @GoGoBoy said - plus, if the text is posted in the thread, it future proof's the thread against changed links on the external site. I went trawling back through the Kraken thread the other day, and the amount of broken links and hotlinked images that were broken was huge. As for clogging the thread, the article is precisely on topic, so I disagree it's doing anything but contributing. ^ 100% agree with both @AlexB and @GoGoBoy I appreciate people posting the article here as it is easier and more convenient. I do not think that it clogs the thread but brings more conversations. I think @djrappa last post clogs threads and I think at least 10+ people agree with me (based on the amount of up votes). I'm glad Dreamworld is getting some positive attention. Even though the numbers come from a free concert, some people would of done other stuff or brought food and/or merchandise within Dreamworld. It will be interesting to see how the rest of the months are; both in revenue and attendance. I'm keen to see how creative Dreamworld can get. Blindfolds at night on rides very creative . I said *I* don't like it, so *I* don't do it. You can all do and like what you please, and by all means do. It may actually shock some of you that different people can and do actually have different opinions and even more shockingly they are entitled to them! An idea mostly lost with forum posters. As for clogging the thread, I only pointed out that using google bypasses the paywall (and has never failed ever for me). So how I'm clogging a thread I don't know. @djrappa - to be fair, you are a Community Leader. When a CL comes onto the board and says 'don't like posting a whole article and clogging the thread' it doesn't come across completely as your personal view. It comes across more as a 'mod instruction' advising others not to do it for the same reasons (although it can be read both ways). This is probably why 3 people voiced disagreement, and those posts collectively received 18 upvotes. 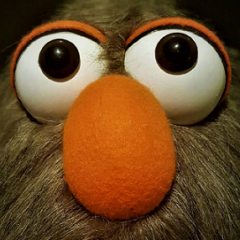 Of course everyone here is entitled to voice their opinion - no matter how long or short it may be, but as the CLs set the standard, settle the arguments, and moderate the discussion, when a mod shares that sort of opinion, you have to see how everyone else might be confused as to whether you meant it as a personal opinion or otherwise. Actually no I dont "have to see" anything. I think it's pretty friken obvious whenever we give an instruction. 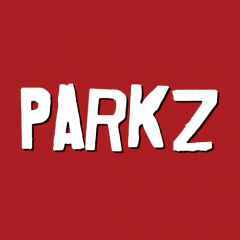 Or state "on parkz, bla bla bla". Whenever someone posts "I" that's exactly what it means. And Jesus Christ let's not start deciding the validity of opinions or points by the up/down vote system.